Or – would it be never, I shudder to think. How further long would it be when I touch you finally? And kept you in my treasure chest, locked in the depths of my heart! 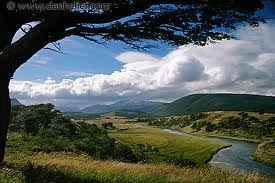 I yearned for you so much, Tierra del Fuego! You were a kindred soul in my tempestuous youth. The ravaged, savage land that you see' - I knew you as I know me! Your cruel seas, screaming winds and gently flowing streams! All I have are your pictures, I chant your name as I have, as I will for years! I do not fish your streams, I do not scamper over your craggy landscape. A stone, moss-covered - I slip it into my pocket, close to my heart! @B: That's it, am gonna learn Spanish! ( Thanks anyway to Google translate) By any chance, B, if you are going to the End of the World, promise to write to me every SINGLE DETAIL! 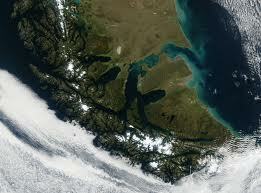 Now, to answer your earlier question, I'll tell the whole world that my friend has been to Tierra del Fuego. And B, that's one promise I've made to myself, I'll go there one day! to be understood, silently asking,.."
You are such a blessed writer Balachandran,since I always see certain depth beyond the words,the images you arrange there..
God bless to take you there soon..And I love to read what you going to scribble from there. @Melange': Glad you liked the poem. Originally intended to convey my passion for that land, while writing it I remembered the picture I had torn discreetly from a friend's book. 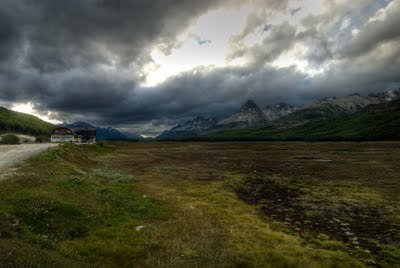 Then I suddenly realized why it had appealed to me so much then - it was more or less like me, like my mind - passionate, wild and stormy - I realized that's why I could relate to Tierra del Fuego so much. I also remember that I was obsessed with its name, 'The Land of Fire'. May god fulfill your dream to go to The Land OF fire.I had no idea that you have another love other than the Himalayas .Loved every word of your verses . How many dreams not fulfilled,how many enchantments would one carry to the grave? Look for a streak, just a streak , a lining silver somewhere . May God help you. Nice post.